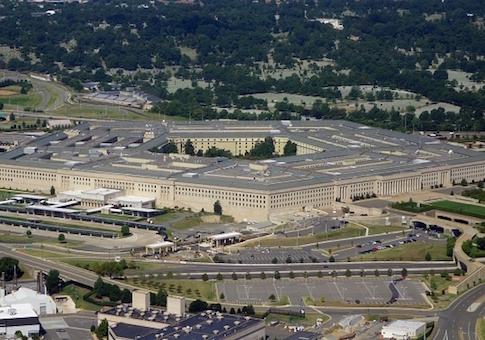 The defense spending bill passed by the House of Representatives Wednesday includes $1 million for the Pentagon to hire "gender advisors." An amendment sponsored by Democrats passed by voice vote to give women "a seat at the table" during diplomatic negotiations. "When women's voices are heard, they can be catalysts for change—especially when it comes to peace," said Rep. Lois Frankel (D., Fla.), after her amendment was included in the defense spending bill. The amendment authorizes $1 million in taxpayer-funding for the Department of Defense to hire "gender advisors" and for training on "gender perspectives at the war colleges." "I'm thrilled my amendment securing funding for women in security efforts passed today, which will: (1) provide $3 million for our military branches to implement the Women, Peace and Security Act, helping countries to integrate women into security efforts and (2) Provide the Department of Defense $1 million to hire gender advisors who will assist in military missions and training to make sure more women are involved in foreign operations," Frankel said. "Women can create long-lasting peace—let's give them a seat at the table!" The text of the amendment specifically calls for $900,000 for training on the "meaningful participation of women" and $100,000 for training on "gender perspectives." The amendment reads in full: "Allocates $3,000,000 for training on gender perspectives and full-time advisors on Women, Peace and Security at each of the Combatant Commands, the Office of the Secretary of Defense, the Defense Security Cooperation Agency, and the Joint Staff; $900,000 for training on the meaningful participation of women through foreign national security forces capacity building programs and for the collection of gender-disaggregated data in that programming; and $100,000 for training on gender perspectives at the war colleges and research on women’s contributions to security at the National Defense University Institute for National Security Studies." Frankel was joined by her fellow Democratic representatives Bill Keating (D., Mass. ), Jackie Speier (D., Calif.), and Norma Torres (D., Calif.). The $670 billion defense bill overwhelmingly passed Wednesday and now awaits President Donald Trump's signature. This entry was posted in Issues and tagged Department of Defense, Government Spending, House of Representatives, Pentagon. Bookmark the permalink.